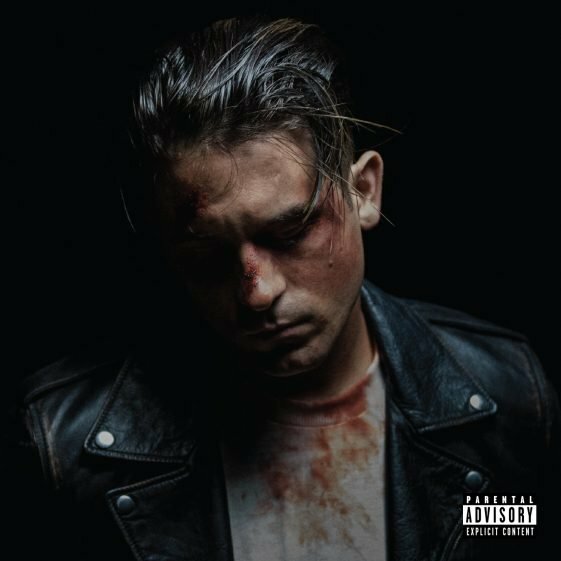 ‘The Beautiful and Damned’ album and short film paints a very dire portrait of Gerald/G-Eazy that is very real and has never been shared by him before. Originally Gerald saw limitations in his life so he created G-Eazy as a way to make it past those and live how he thought he wanted to live and become that rockstar he thought he wanted to be. The problematic pattern that has come from the rise of this star is that G-Eazy lives a constant dark cliché of addiction and over indulgence in his favorite vices that surround him each night in the lifestyle in which he’s found himself. Heavy handed in reference to F. Scott Fitzgerald‘s novel of the same name, ‘The Beautiful and Damned’ shows us hung-over Gerald left having to clean up reckless G’s aftermath on a daily basis. The dueling narrative he conveys is as desperate, humble, and confessional as it is brazen, celebratory, and loud in its own hubris. He is in the middle of a very serious conflict with his alter ego and he has genuine concern as well as thoughts about how to get back to who he is as person. This album and film is about the duality of these two characters who wrestle inside of him, and the beginning of that communication and process on how to preserve his true self. On the back of his monstrous first single “No Limit” featuring A$AP Rocky and Cardi B from his forthcoming album The Beautiful & Damned, the Bay Area’s own multi-platinum rapper and producer G-Eazy has announced the highly personal 20-track double-album will be out on December 15th via BPG/RVG/RCA Records and reveals features and news of the album’s stunning short film of the same name. Special guests on the album include a cast of heavy-hitters featuring Halsey, Cardi B, A$AP Rocky, Kehlani, E-40, Charlie Puth, Anna of The North, and more.